For creatives out there looking to up the ante, this workshop offers objective, non-directorial feedback given peer-to-peer. This structure called Fieldwork provides a safe space where you can learn what your audience sees, feels, and hears in response to your art. Artists are encouraged to bring works in progress that are ready to share for feedback. Visual and performance works of all mediums, genres, and stages of development welcome. The session will be facilitated by dance artist Ilana Silverstein. Movement Classes and Workshops in Contemporary Dance and Improvisation These classes range from the beginner to the advanced level. We will activate the body through a series of floor phrases and moving through space. The style of moving is based on our individual understanding of our skeletal structure, kinesthetic awareness and connection with breath. We will cultivate strength, flexibility, endurance, sensitivity to gravity, momentum and presence. Contemplative Movement Practice is a combination of sitting meditation, personal warm up and group improvisation developed by Barbara Dilly. In this workshop, we will empty our minds of life obligations and transition into being fully present together. Experience both an internal/personal focus and an external awareness of others. This practice is open to anyone interested in expanding their meditation practice to include movement or being more present in your dancing. 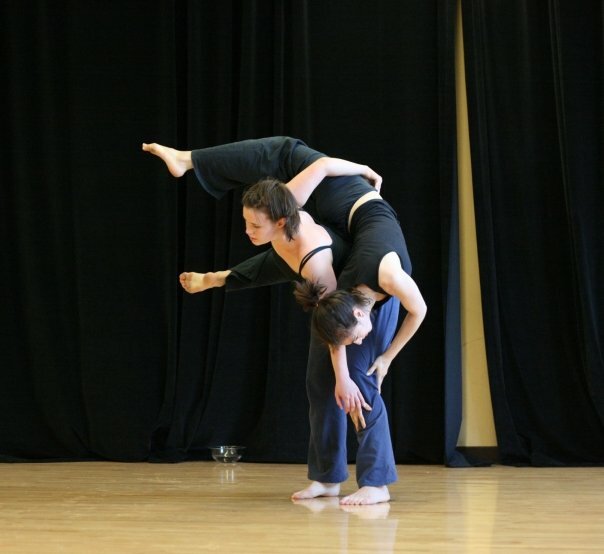 In addition, I have taught workshops tailored to the themes and interests of the participants including Partner Stretch, Contact Improvisation, and the Music and Dance Improv Lab.